WINDSOR, Ont. — The Ontario government told parts makers Wednesday a new economic relief package will help offset costs incurred due to a 32 per cent increase in the province's minimum wage over the next 18 months. Between now and January 1, 2019, the minimum wage will rise to $15 per hour from the current rate of $11.40/hr. 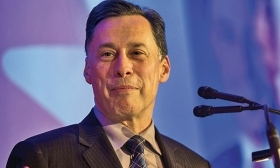 Minister of Economic Development Brad Duguid announced a relief package in Windsor, Ont., during a keynote address at the Automotive Parts Manufacturers’ Association (APMA) conference. Both the reform and relief packages still need to pass in the Ontario Legislature, but both are likely to do so under a majority Liberal government. “I know some of our business partners in this room are not pleased with the labour reform,” Duguid told an auditorium full of auto executives. Other changes to labour laws include card-based unionization for only certain segments of the workforce and equal pay for temporary workers doing the same job as full-time employees. “I’m not expecting a standing ovation from you today. I’m not expecting enthusiasm for it,” he said of the labour reform package revealed May 31. He then said relief is on the way through an eight-point piece of proposed legislation that will help small- and medium-sized businesses, including some parts makers, recoup some of the cost of increasing wages. • A review of licence and registration fees. As part of the reduction in regulatory costs, Duguid said every dollar a business incurs in new administrative costs would be returned back to the business at a rate of $1.25. “We’re always going to be there to support you in every single way that we can,” Duguid said. Duguid said the province listened to all businesses — not just parts makers — when coming up with a way to offset the costs. “We expect to mitigate, somewhat, whatever impacts those may be to those businesses that are impacted by minimum wage,” he said. Businesses will save “hundreds of millions of dollars” through the new eight-point plan, Duguid said. Volpe said the vast majority of suppliers in Ontario — if not all of them — already pay more than $15/hr to start. But, as the minimum wage increases, suppliers will have to offer more money to widen the gap between hourly wages and remain an attractive place to work. He called the new plan “nice to have” but said it doesn’t go far enough. “I’m not sure it offsets a very short timeframe of ramping up minimum wage,” Volpe said. “Labour reform, at the core of it, adds cost. His eight-point plan is about the ease of business and it reduces some cost. But, the cost of the regulatory burden may be one administrative person. “When you talk about some of the things in the labour reform package, it’s an additional cost on every single human being in your business.